Our 50" TV's and Projector are perfect for you next Wedding, business or Corporate event. Our displays are perfect for Personalized Monograms or personal slide shows. Also great for Power Point presentations, conferences, meetings, seminars, and/or break-out sessions. We can also provide VDJ service, Video Disc Jockey. All our music videos have been legally obtained. We play the latest video hits on the big screens. 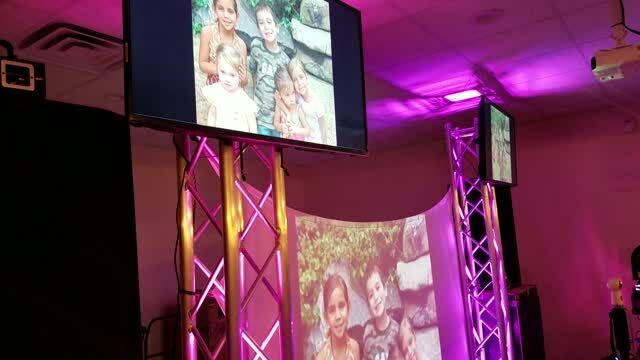 We have both front and rear projection screens for your limited size venue.